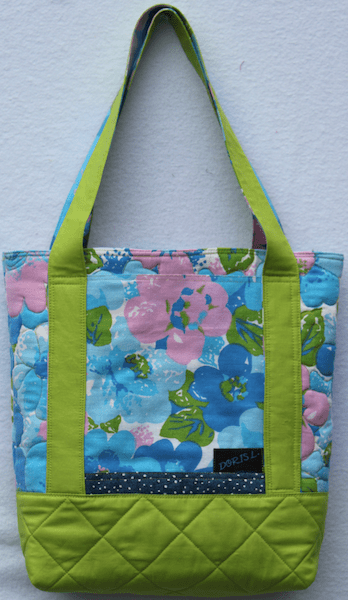 The three pieces of thrifted fabric from the Sow’s Ear Challenge plus a solid green resulted in this easy to piece bag. I used Peltex, a heavyweight firm stabilizer and did a little free motion quilting around the flowers and some straight line quilting on the solid base. I interfaced the handles to give prevent them from stretching. 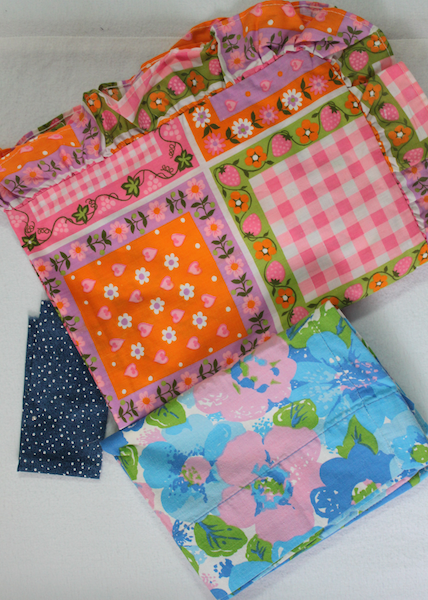 The pockets are made up of one long rectangle folded in half and topstitched. I still have a little of the blue floral print and 1 entire pink/green pillow sham that I haven’t taken apart and 1 side of the one I did use. 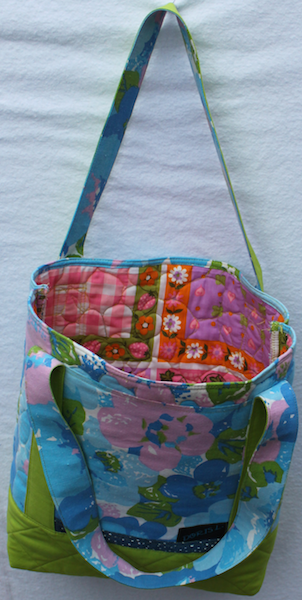 I will make another bag featuring the pink/orange/green fabric on the outside and incorporate the ruffle too. The exact design will be dictated by the amount of fabric I have leftover. I like the firmness that the Peltex stabilizer provides, it has more body than just a regular quilt batting would give to the project.